Still life paintings have objects as their centre of attention. When looking at a still life painting, we need to consider aspects of form such as its composition, the use of light and colour, and the modelling. 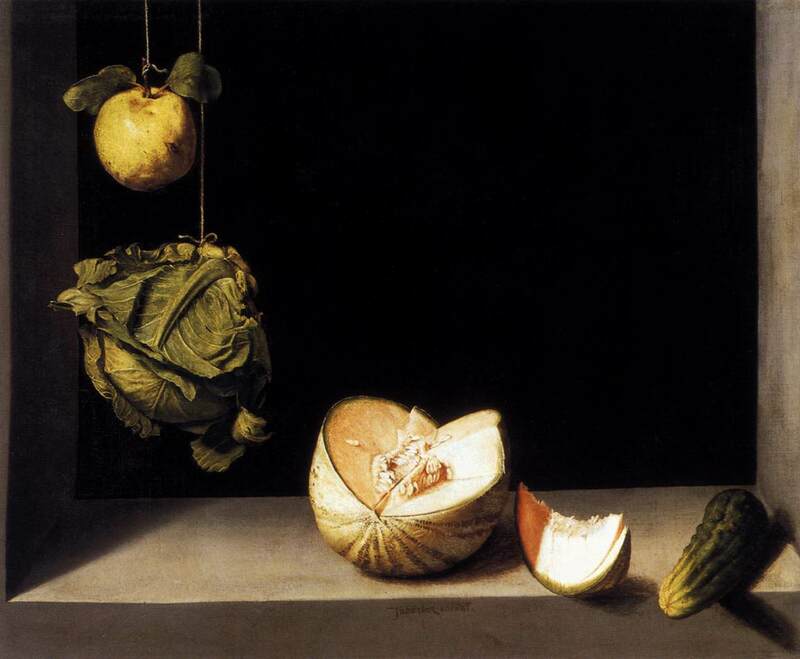 Look at this painting by Juan Sanchez Cotan, Quince, Cabbage, Melon and Cucumber (c. 1602): click here (external link). How has the artist composed the painting? What use has he made of colour? What colour relationships are established? How has he used light and dark?